According to NursingProcess.Org (n.d), the nursing process gets used by nurses to ensure that quality care gets provided to a patient. Thus, the nursing process is broken down into five phases which include the assessment phase, diagnosis phase, planning phase, implementation and evaluation phase. Each of the stages plays a crucial role in ensuring that quality and safe care gets provided to a patient. The diagnosis phase involves the registered nurse having a professional judgment regarding a patient’s actual or potential health problem. Furthermore, the diagnosis not only based on the exact description of the health problem but also if the patient is at risk of developing the same health problem in the future. Also, there is the planning phase where the patient and registered nurse (RN) agree on the made diagnosis and develop a care plan. On this phase, RNs often refer to evidence-based outcomes of nursing which is essential in keeping track of the patient’s wellness. 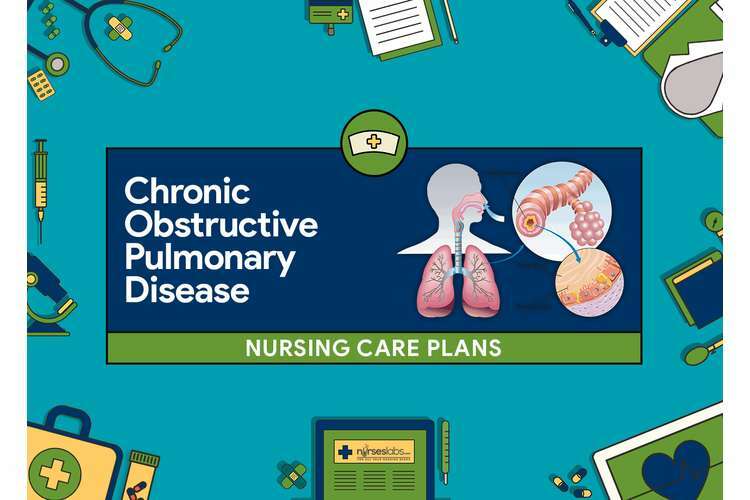 The implementation plan phase involves the RN putting into action the care plan that got developed in ensuring that the program focuses on achieving specific outcomes depending on a patient. The evaluation phase is the last phase which refers to the RN determining whether the goals for the patient’s wellness got achieved. The purpose of this article is to develop an effective care plan that is suitable for Heather Cook who is a chronic patient. From the case study, Heather Cook got diagnosed with multiple sclerosis (MS) when she was 30 years old, and the initial assessment gets done to indicate that she had ischial tuberosity, skin intact and long-term IDC insitu. Olek (2008) states that multiple sclerosis is an immune-mediated inflammatory disease that gets centered on the nervous system and it gets characterized by nerve demyelination. In spite of that, there is the occurrence of limited remyelination which happens during the early phase of the disease which gets followed by consecutive nerve fiber loss. The nerve fibers get lost during the chronic progressive stage, and it is more common in women than men. Health Cook was diagnosed with the disease when she was 30 years old. Therefore, it was important that she got an early diagnosis of the disease. According to Miller (2004), the criteria for MS diagnosis may include MRI findings and clinically isolated syndrome (CIS). The essence of CIS is that it is sensitive and can detect any development of inflammation created by the MS. Mcdonald et al. (2001) state that it is crucial to have an adequate diagnosis done on a potential patient of MS to prevent further damages done by the disease. Table 1 illustrates an effective diagnosis scheme for MS.
Few symptoms may be visible during the initial stages of the disease which then progress to visual problems including poor vision. It is, therefore, necessary for the medical practitioner to discuss the potential implication of the disease with the patient (Heather Cook) and provide primary care which would help in her everyday tasks such as bathing (WebMD, n.d). Heather admits that she had been managing well at home until there was change to the nursing staff and their routine. According to Vera (2014), most patients face fatigue as the primary symptom of multiple sclerosis and studies indicate that fatigue experienced by the patients occurs due to minimal energy in their body. The nurse should be able to identify the factors affecting the patient’s activeness such as the medication they use, temperature extremes and insomnia. The intervention provides the nurse the opportunity to solve the problem that is affecting the patient and improve their mobility (Vera, 2014). The RN should accept when the patient is unable to carry out certain activities. It is essential for the RN to be non-judgemental when a patient is unable to carry out a particular activity, thus accepting the day to day evaluations done on the patient (Vera, 2014). Furthermore, the nurse should provide support that enables the patient to work on improving better at a faster rate. The nurse should also assist the patient in their physical therapy which makes the patient comfortable through having a relaxing bath or massage (Vera, 2014). This helps in reducing fatigue which promotes a sense of wellness in the patient. (Vera, 2014). The second diagnosis made on Heather Cook was that there was unusual non-blanchable redness over her right ischial tuberosity. The disorder causes a massive swelling on the greater ramus of the ischium which marks the boundary lateral to the pelvic outlet. According to Kerkar (n.d), when a patient of the disorder is in a sitting position, their weight gets placed on the ischial tuberosity. Heather Cook on admission receives a pain score of 7/10 which may have been caused by the ischial tuberosity and stage 1 pressure injury. Some of the notable diagnosis on the disorder include pain or shift in the pelvis position which may have caused Heather’s ‘S’ shaped spine. Healthline (n.d) states that the redness and swelling are another diagnoses that can get made from ischial tuberosity which is evident from Heather who has redness and swelling over her right ischial tuberosity. Also, the patient may experience pain, especially when sitting down and from the case study, Heather experiences pain when sitting in her chair and she defined the pain as 7/10. The patient of the disorder may also have trouble sleeping especially using the affected side though for Heath’s case she has no problem sleeping. Most of the hamstring injuries can get treated with weight protection bearings by wearing hamstring stretchers and strengthening programs. “Strengthening begins with isometric exercises with ultimate progression to eccentric isokinetic strength exercises as symptoms allow. Eccentric strength training is key for any rehabilitation program as it reduces the risk of reinjury” (Katz, Blauwet, and Schoenfeld, 2018, p.91). According to Ackley, and Ladwig (2014), the nurse may inspect the patient’s skin where braces, orthoses got removed. Early pressure detection may allow implementation of early pressure relief strategies and the outcome of the reviews prevent pressure ulcers development and also healing of the wounds. “Potential adverse effects of improper fit of wheelchair such as a seat too high can lead to insufficient trunk support, difficulty positioning the knees beneath a table or desk, difficulty propelling the wheelchair because of the difficulty reaching the hand rim on the wheels and poor overall posture when arms resting on armrests” (Ackley, and Ladwig, 2014, p.544). According to Ackley and Ladwig (2014), the nurse may advise the patient to utilize an appropriate passive wheelchair standing position which may relieve weight bearing. This helps in the removal of tissue pressure especially over bony prominences which assist in preventing pressure ulcers (Ackley and Ladwig, 2014). The nurse may also routinely assess the patient’s sitting posture, and even frequent repositioning would help the patient into alignment. A study indicated that nursing personnel might reliably use Resident Ergonomic Assessment Profile to assess the posture of patients in their wheelchair (Ackley and Ladwig, 2014). The third diagnosis done on Heather was skin intact which according to Berlowitz (2018), involves soft tissue and pressure-induced skin injuries may result in skin damage on the underlying tissues especially over bony areas. Hence, the bedsores (pressure sores) get formed when a patient’s bone squeezes against their tissue and skin which is often against an outside material. Some of the bedsores get developed on the lower waist of a bedridden patient though the bedsores can occur anywhere on the patient’s body. Heather spends most of her time sitting which makes her vulnerable to skin intact below her waist due to her skin rubbing against her wheelchair. Some of the common areas bedsores may occur the hips, shoulder blades, knees, elbows, between toes and fingers and at the base of the spine (MedBroadcast, n.d). The patient may not experience any further breakdown of the skin during hospitalization which would enable the wounds to be kept clean and free from any form of infection (RegisteredNurseRN.com, n.d). The continuous assessment would help nurses use of pressure redistribution products which may reduce the pressure DTIs. The nurse may assess any sites of skin impairment. A prior assessment of the wounds may be crucial for proper nursing intervention identification (Selasa, 2013). The nurse should individualize the care plan according to the patient’s skin condition, preferences, and needs. The patient should avoid using harsh cleansing agents and the use of hot water which often dries the skin (Selasa, 2013). The nurse may also advise the patient to note massage the site around where there is skin impairment and over bony prominences. Research indicates that massaging the area of skin impairment may lead to deep tissue trauma (Selasa, 2013). The nurse may conduct an assessment of the patient’s nutritional status. When a patient has inadequate nutritional intake may place the patient at risk of skin breakdown and healing (Selasa, 2013). The final diagnosis made on Heather was that she had insertions of long-term indwelling catheter (IDC) insitu which is a medical procedure. An important point to note is that often the insertion is inappropriately and poorly inserted which may lead to morbidity. Therefore, it is crucial that catheterization got done by experienced medical practitioners who are aware of the products, procedure and the complications that may arise from the insertion of the IDC (Redwig, Naidoo, and Gilbert, 2018). From the assessments made on Heather, she has long-term IDC insitu which requires catheter care. Some of the indications for catheterization may include urinary retention and urethral stricture dilatation. When a patient wants to self-catheterize themselves, it is vital that they acquire the needed knowledge for performing the self-catheterization safely. This condition may also get caused by pelvic injuries, however, from the assessments made Heather had no previous record of any pelvic injury. Expected outcomes on long-term IDC insitu may get enabled by using urinary catheter insertion only when it gets clinically advised. Also, the urinary catheter may get inserted into the urinary bladder without adverse health outcomes (Agency for Clinical Innovation, 2014). Facilitates competent assessment and championship. This acts as a resource to medical practitioners and promotes the ‘No CAUTI’ bundle to nurses and supports implementation (Parker, Graham, Giles, and Suthers, 2017). Nurses can monitor feedback from points on IDC prevalence usage and CAUTI. This enables nurses to focus on targets and progress of the patient (Parker et al., 2017). Nurses are encouraged to attend training workshops where they can get educated on how to insert catheters. The training enables the nurses to complete urinary catheterization and offer a competent assessment to patients (Parker et al., 2017). The nurses can be able to obtain various resources such as catheter insertion DVDs, ‘No CAUTI’ bundle badges and ‘No CAUTI’ bundle posters. The isobar indicates a shift in improvement after interventions got done on a patient. According to Bryant, and Nix (2015), a patient who has chronic wounds are advised to get enough rest, and the patient’s mobility should get an issue of concern to address tissue and skin impairment. This article addressed the various diagnosis that got done on Heather Cook and the multiple nursing interventions and scientific rationale that got implied. Four diagnosis got made which include multiple sclerosis, ischial tuberosity, skin intact and long-term IDC insitu. Each of the diagnosis affected her differently though there was quite some similarity between some diagnoses which had a tissue, and never fibers getting lost and skin impairment. In spite of that, the article identifies a discharge plan that can get used to managing the various chronic wounds that Heather may have. 1. Ackley, B. J., & Ladwig, G. B. (2014). Nursing diagnosis handbook: An evidence-based guide to planning care. Maryland Heights, Missouri: Mosby Elsevier. 6. Katz, J. N., Blauwet, C. A., & Schoenfeld, A. J. (2018). Principles of orthopedic practice for primary care providers. Cham: Springer. 8. McDonald, W. I., Compston, A., Edan, G., Goodkin, D., Hartung, H. P., Lublin, F. D., ... & Sandberg?Wollheim, M. (2001). Recommended diagnostic criteria for multiple sclerosis: guidelines from the International Panel on the diagnosis of multiple sclerosis. Annals of Neurology: Official Journal of the American Neurological Association and the Child Neurology Society, 50(1), 121-127.